Ryanair said today it would not change plans to shut its base for pilots in the Netherlands next week, despite a Dutch court order blocking the airline from moving crew elsewhere against their will. Ryanair said last month it would shut its base in Eindhoven in November, moving 16 pilots who operate flights from the southern Dutch airport to other locations to cut costs. The Dutch court said today that Ryanair had abused its powers as an employer by ordering the crew to move abroad. The district court in Hertogenbosch said Ryanair had failed to explain why the move was necessary and said the decision seemed to be retaliation for the European-wide strikes Dutch pilots had joined in recent months. "Under the given circumstances, Ryanair had no right to decide to shut down the base in Eindhoven", the court said in its verdict. The closure of Eindhoven would effectively mean that flights from this airport would no longer be operated by pilots based in the Dutch city. The court said it could not prevent the closure of the base, because the pilots who brought on the case only contested their forced relocation. Ryanair said it had no intentions of changing course. "All pilots and cabin crew have already been offered base transfers," Ryanair said. "But if any crew members wish to choose redundancies over base transfers then we will respect that choice." The court ordered Ryanair to make sure that all pilots could continue to operate their flights to and from Eindhoven while based in the Dutch city. 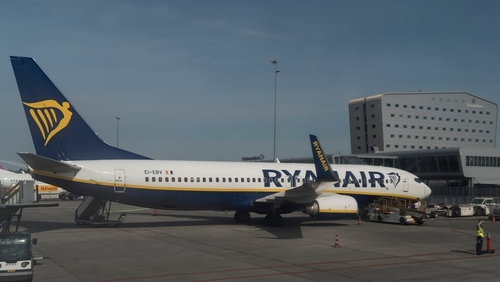 The court also ordered Ryanair to continue to pay the Dutch pilots their full wages, while making sure they would make enough flights to keep their licences to operate a Boeing 737. Ryanair has struggled with labour relations since it bowed to pressure to recognise trade unions for the first time last December. The company has tried to limit the power of unions by threatening to shut bases and move staff. Ryanair put more than 300 Dublin-based pilots and cabin crew on 90-day notice in July, but withdrew its plans to cut it fleet and staff there two months later when it agreed a deal with Irish unions. It has also announced the planned closure of two bases in Germany. Two coordinated walkouts since August in Portugal, Germany, Spain, Belgium and the Netherlands hit passenger numbers, bookings and profits, the company said on October 1.